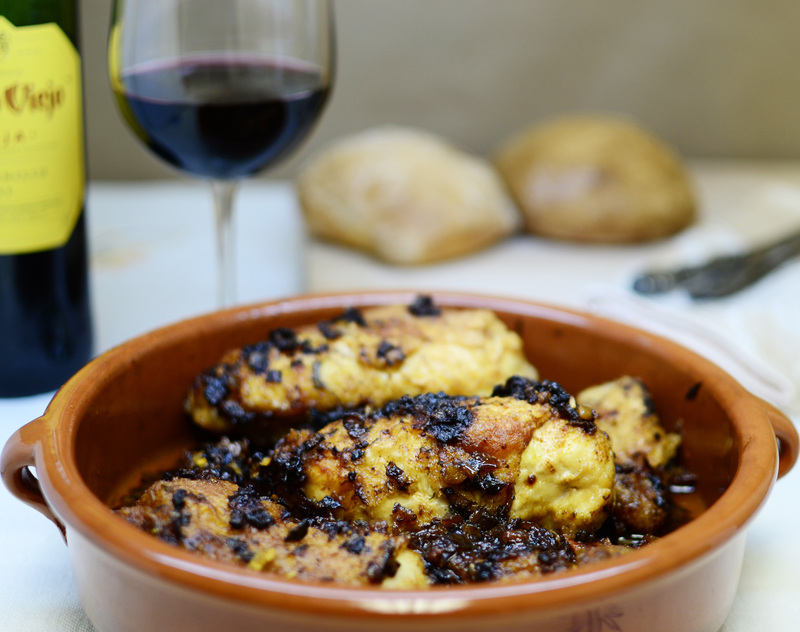 As you will see if you frequent my blog, I have a fascination with Spanish food. Visiting Spain was a re-awaking for me gastronomically speaking. 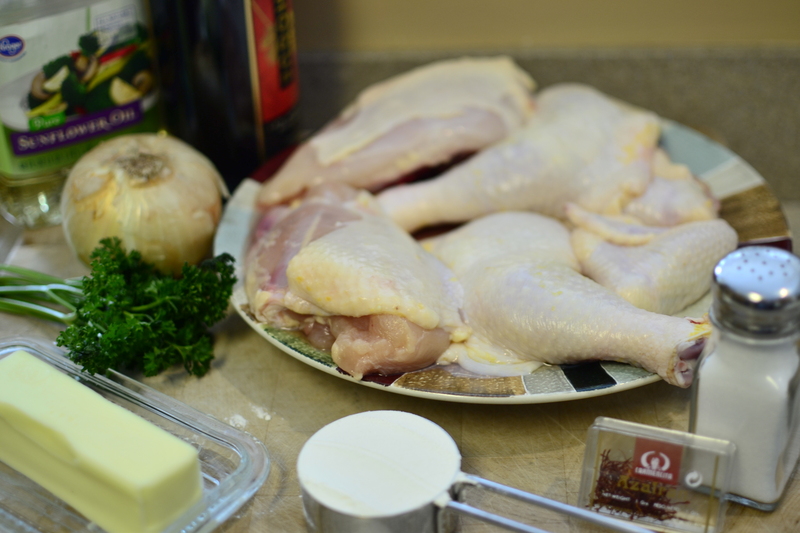 I began my love of cooking when my husband was in the Army and my fellow Army wives came from all over the world. 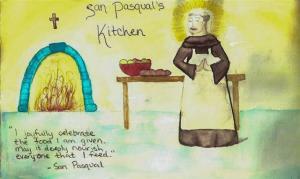 We would each cook from our own tradition and share with one another. I was continually being surprised by a new taste or ingredient. After we left the military and moved back down South, my culinary wanderings became fewer and fewer. Then our trip to Spain. There long dormant cravings were reawakened and a passion rekindled that has ceased to wane. 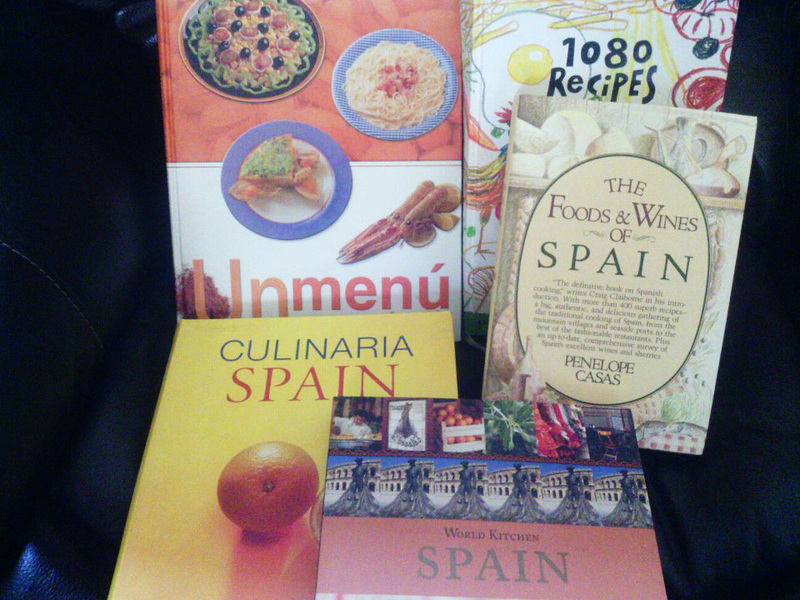 Once back in the States, I began looking to recreate the taste sensations I experienced there which led to collecting Spanish cookbooks. This is my collection so far. 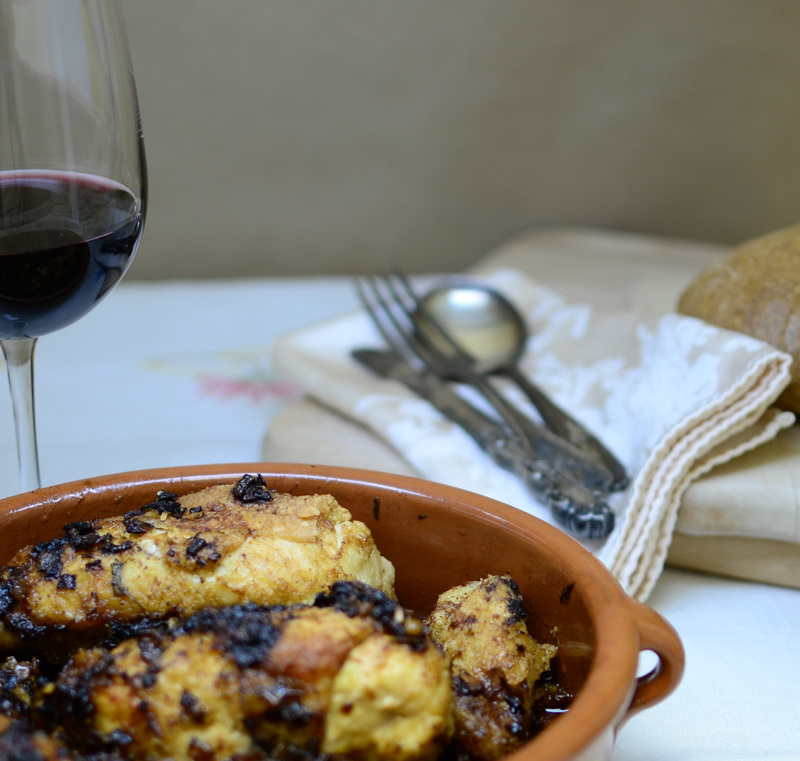 Today’s dinner came from Simone and Ines Ortega’s 1080 Recipes. This cookbook is touted as the Joy of Cooking of Spain. There is a beautiful website dedicated to this cookbook called 1080 Fotos de Cocina, and I highly suggest visiting it for the pure beauty of the photographs and inspiration. 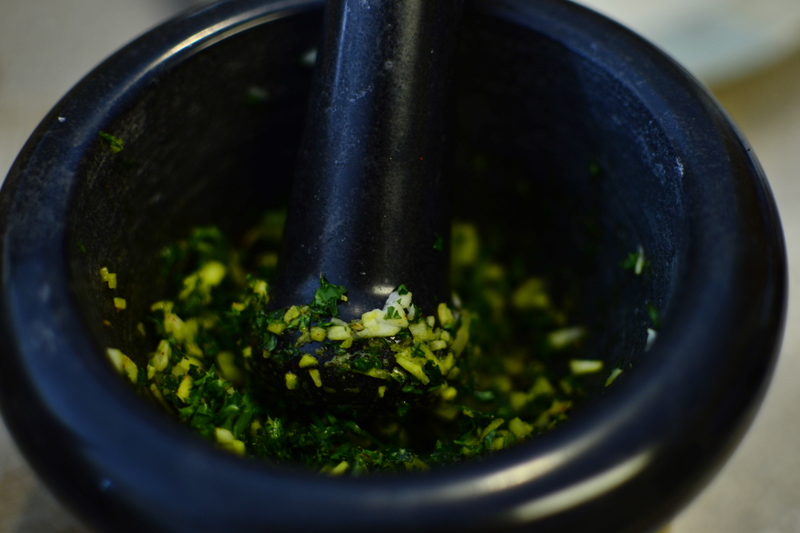 Was there one dish or ingredient or experience that inspired your love of cooking? If so, I’d love to hear it. 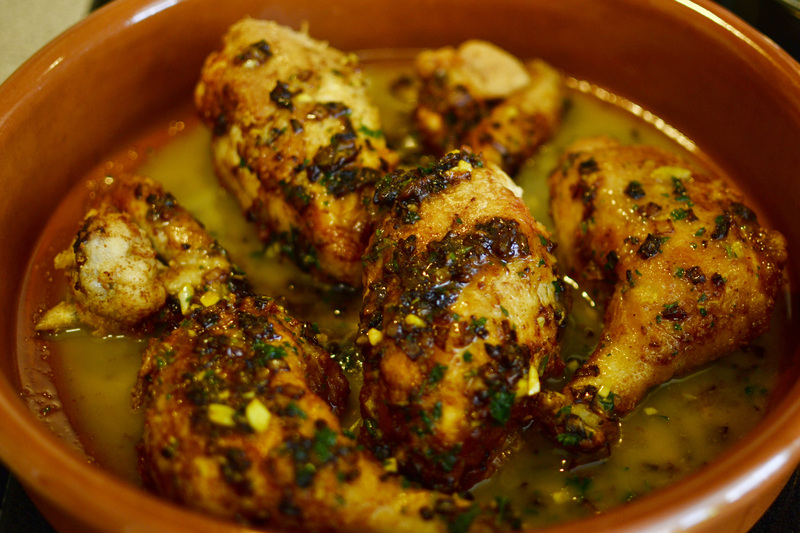 I have prepared (slightly adapted) Recipe 813 ~ Pollo en Salsa al Horno (Roasted Chicken in Sauce). It was easily prepared and so very delicious. 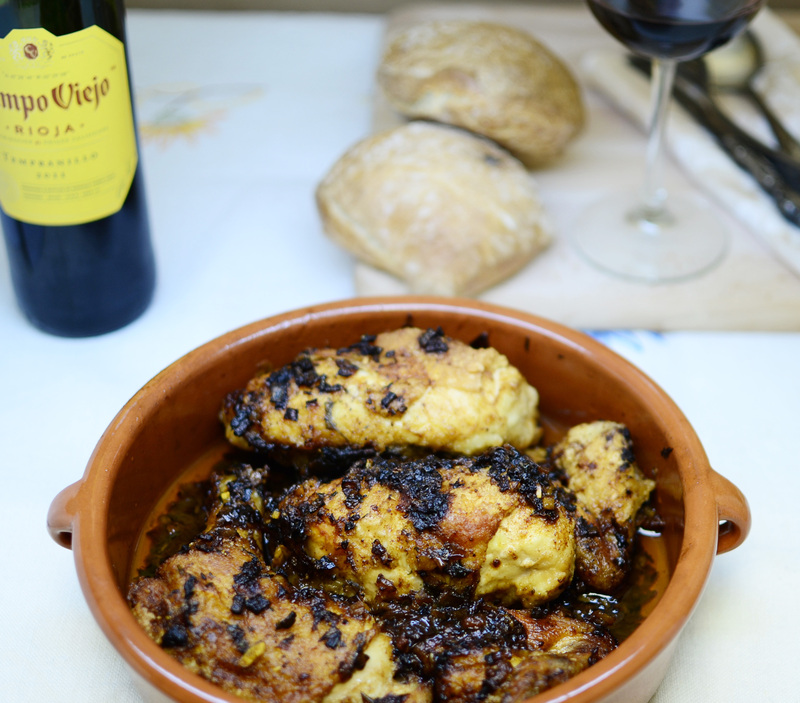 The chicken was tender and juicy and the wine sauce brightened the dish and made this chicken dinner shine. I hope you try it. 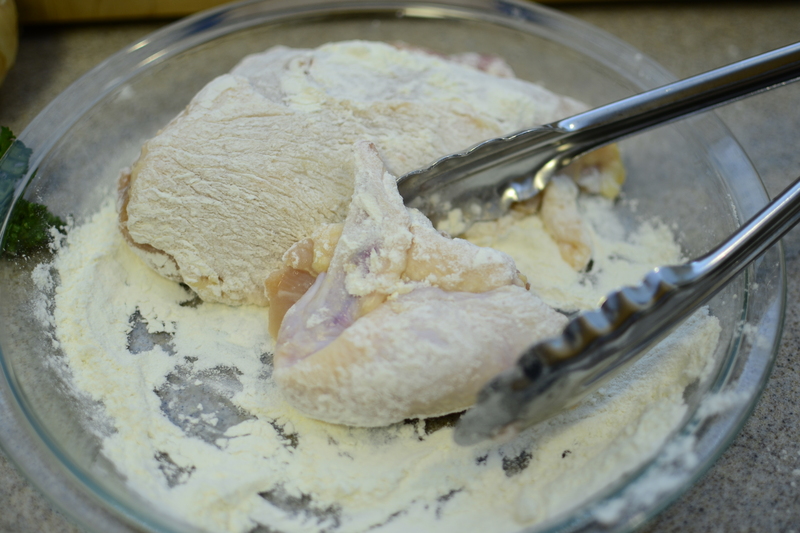 Season the chicken pieces with salt and coat them with the flour. Heat the oil with the butter in a skillet. 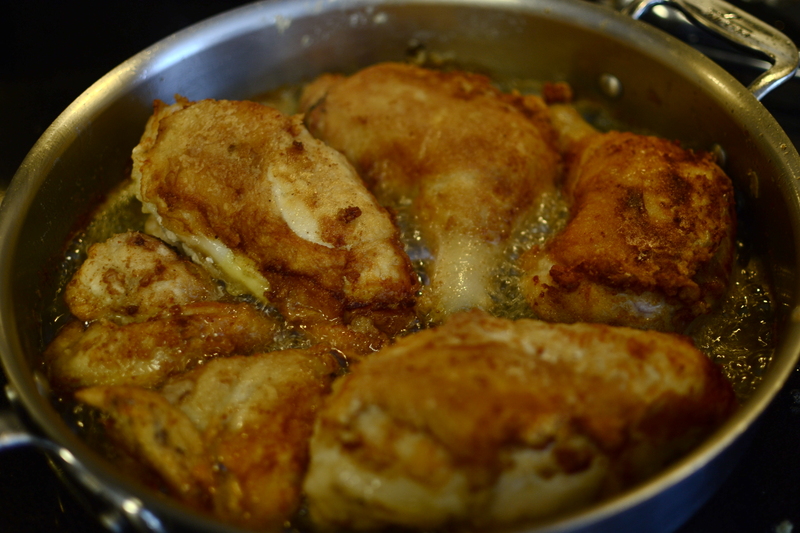 Add the pieces of chicken and cook over medium heat until browned. 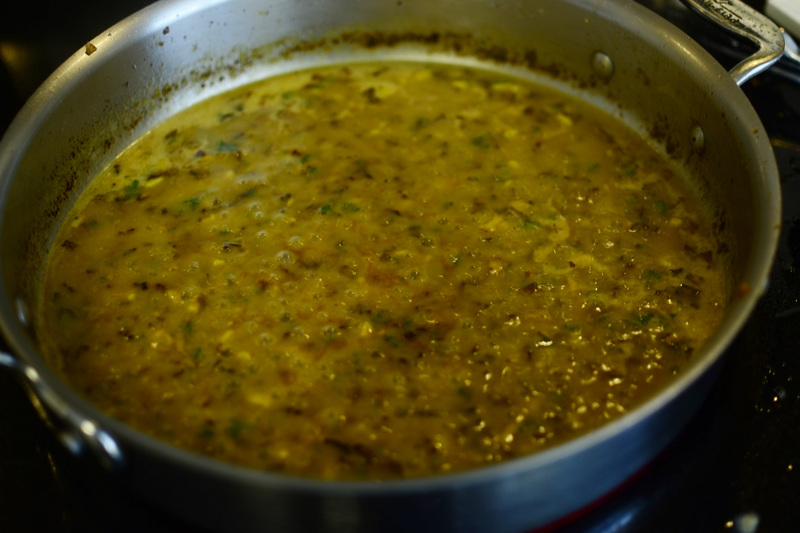 Add the onion to the skillet and cook over low heat, stirring occasionally for about 10 minutes. 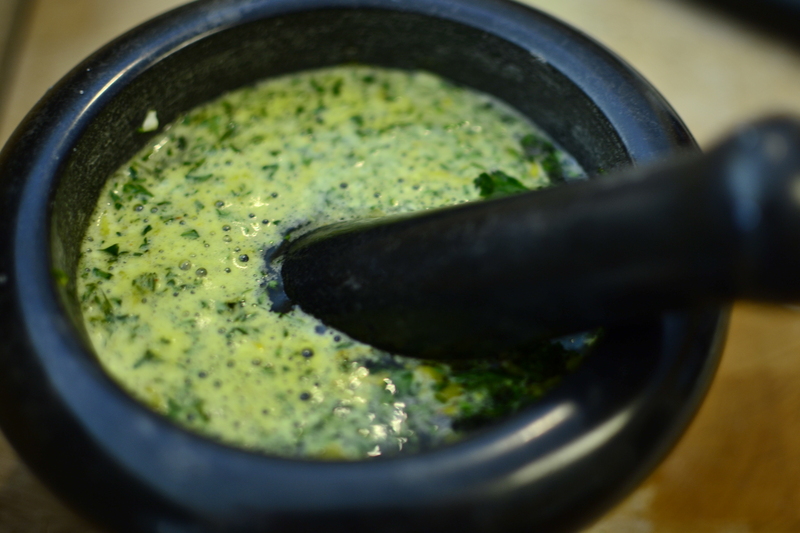 While the onion is cooking, crush the garlic, parsley and saffron in a mortar and mix in the wine. 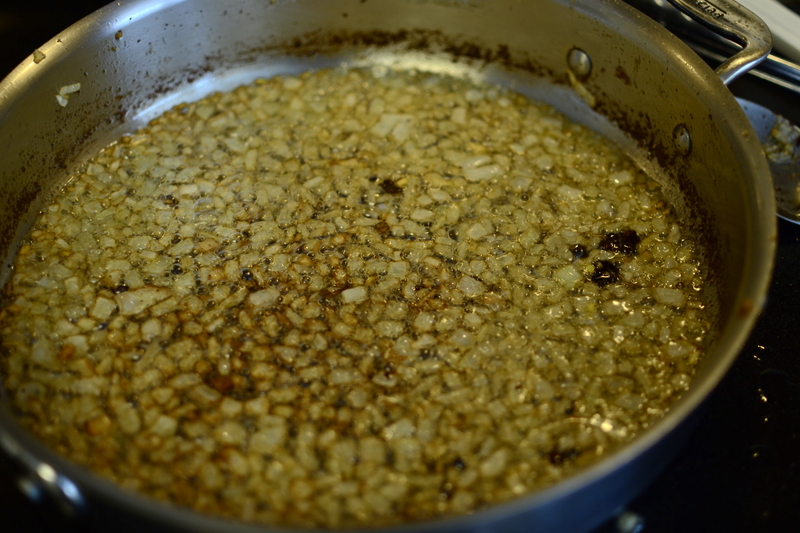 Stir in reserved flour into the onions and stir continuously for 2 minutes. 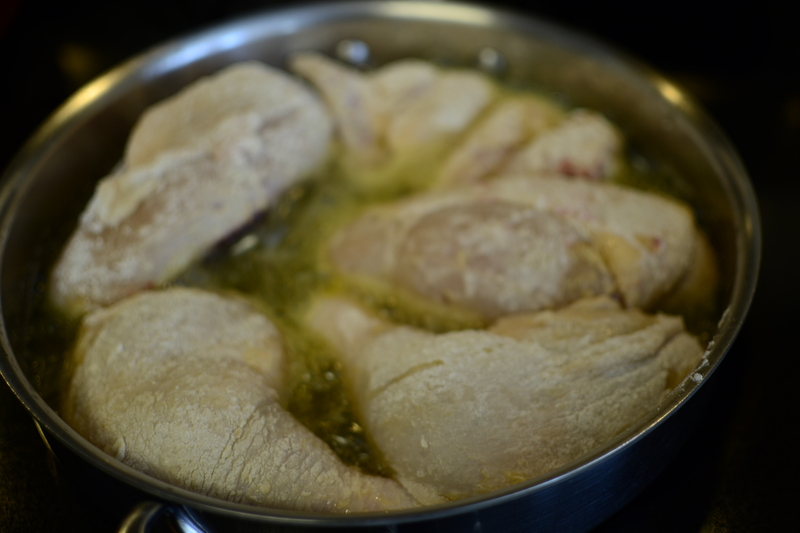 Add in the wine mixture and bring to a boil stirring continuously, then pour over the chicken. Just gorgeous, thanks for the step by step recipe!